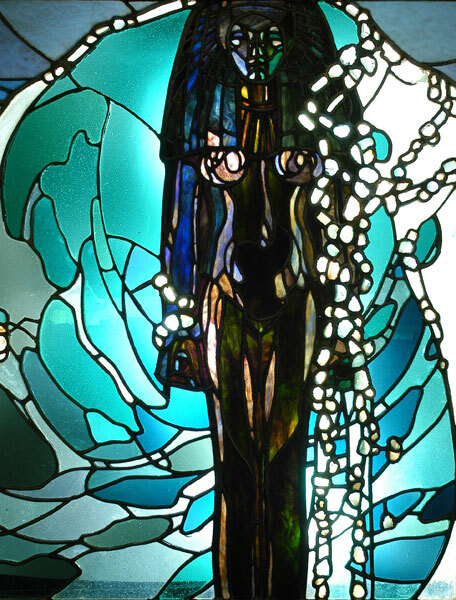 The focus of the composition is the female figure on the right-hand side of the glass, made from pieces of bronze coloured glass. Static and priestly, like an Egyptian divinity, the figure, with its Egyptian head covering, its rigid body and asymmetric stance, is mysteriously disquieting. To the left, a luminous cascade of green and blue jewels seem to imitate the spray of foam of a huge wave about to submerge the figure. Her body, as imposing as a column, creates a vertical line through the circle the wave creates, while the curve of her breasts restates that circularity. 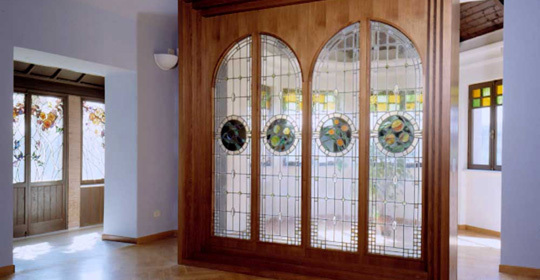 All of the composition is informed by the strong contrast between the figure’s dark tones of brown, blue and purple and the aquamarine and emerald green of the opalescent glass, which recalls the sea. 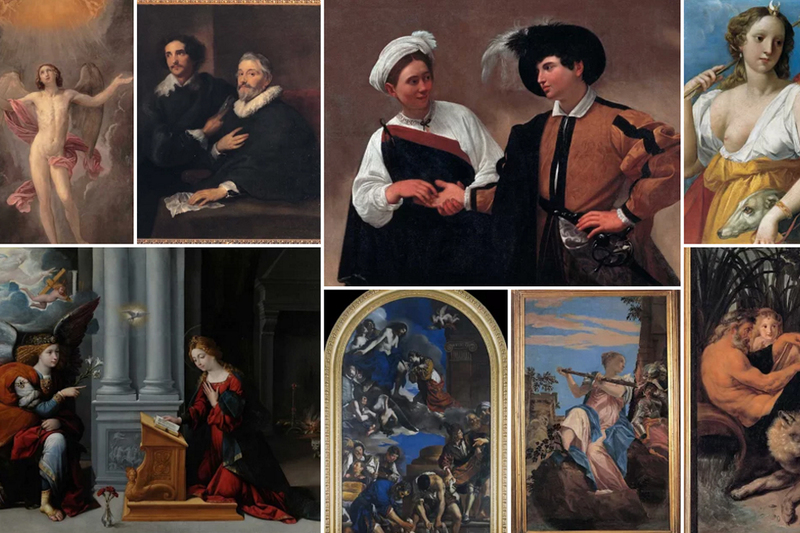 In the bottom right, appear Vetraio’s signature, and the date of composition. The Prince’s bedroom has retained almost none of the original furnishings that once made it one of the places most intimately expressive of Giovanni Torlonia’s dark and misanthropic character. It was originally full of the symbolism of owls and night birds in general, including the large tondo in the centre of the ceiling, which depicts bats flying with their dark wings outstretched and has, fortunately, survived.